Who wishes there were a few more hours in a day? For me, becoming a mom means having a never-ending to-do list and it’s easy to put myself at the bottom of it, or not even feature at all. Things like my beauty routine easily take a back seat so I really appreciate the small luxuries these days. And if I can still get some pampering while ticking things off of my list, then I’m winning. 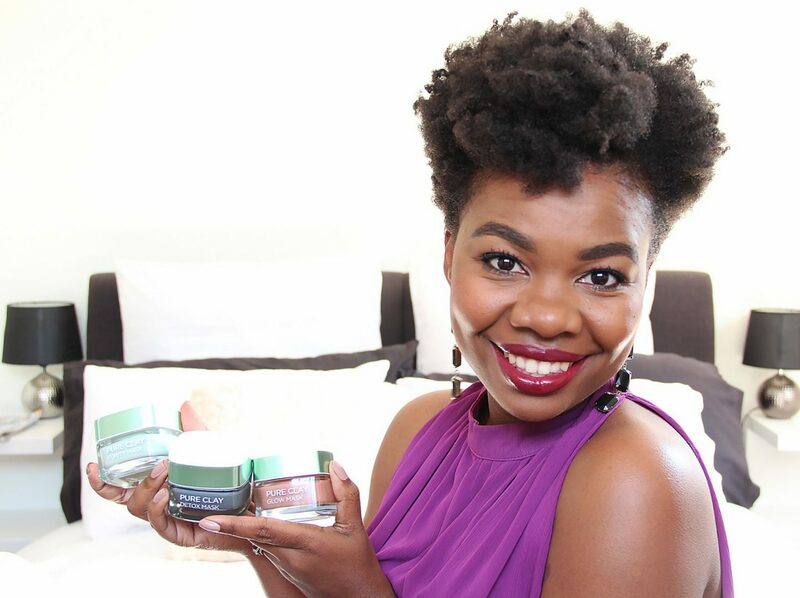 Follow me in this bonus vid, as I cross things off my to-do list whilst giving my skin some much needed pampering and #claytime with L’Oréal’s Pure Clay Masks. I’ve been using them for a couple of months now and they’ve helped me get some much needed DIY skincare done in just 10 minutes. They’re available at leading retail stores including Dischem, Clicks, Foschini, Edgars, and Pick n Pay for R149.95 each. And while you’re on my channel, please subscribe to for mommy, natural hair and beauty videos! You need some pampering too fellow mama! Even if you’re not a mom, with Mother’s Day around the corner, I’m sure you know of one who could use a few minutes of me-time to feel special. I’d love to treat you with a L’Oréal Pure Clay Mask hamper to treat your or her skin to. A L’Oréal Pure Clay Mask hamper that includes all three Pure Clay Masks worth R450. Watch and like my video below. In the comments box below or on YouTube, write 1 task you would do while you multimask. Include your email address in case you’re selected as the winner. The giveaway will close at 12pm on Saturday 13th May, 2017. One (1) winner will be chosen and announced by Sunday 14th May, 2017. You can enter on my blog or on my YouTube channel on this video. The winner will be contacted via e-mail so please be available to supply full contact and delivery details. If the winner does not respond to the email within a week of contact, another winner will be chosen. All prize delivery logistics will be handled by L’Oréal South Africa. love the video:-) awesome how you can use three masks in one, cause with hormones running rampant, your face needs different types of tlc at different times. I never watch TV… The tv is always on when I’m home alone, but I am always doing something else! I would really like to try the multimask. My skin is breaking out. I would try to hydrate myself while running after my daughter while multimasking.